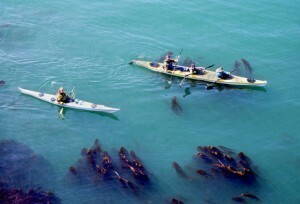 Whidbey Island is a great place to kayak. 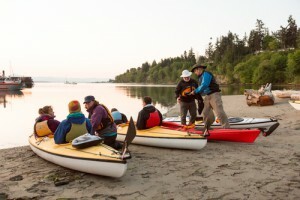 The usually calm waters of Puget Sounds, plethora of kayak launching locations and amazing opportunity to view Pacific Northwest wildlife make Whidbey Island kayaking a popular activity for visitors and locals alike. Whidbey Island Kayaking Company is conveniently located in Langley on South Whidbey Island, making for a perfect launching point for your journey of Whidbey Island’s scenic coves and beaches. A wide variety of tours for both beginner and experienced explorers. Tour sizes that are usually small and intimate, but we welcome large groups too! Experienced and friendly guides that choose the best course for that day, so you may be treated to panoramic views of the Cascade Mountains – from Baker to Rainer and all the peaks between, or you may get to see Langley, the Village-By-The-Sea. Activities just for night owls: bioluminescent experiences or try paddling by the full moon! Critters! Our guests frequently see majestic bald eagles, curious harbor seals, dungeness crab, and great blue herons. Whidbey’s eastern shoreline is popular with gray whales in the spring and orca whales cruise all around the island in the fall. Kayak and stand-up paddleboard (SUP) rentals. Full day rentals are available for experienced paddlers most of the year and hourly rentals are available during the summertime from our Langley marina location. Sea kayaking in the San Juan Islands; the most convenient, scenic, and affordable kayak trips in the San Juans can be found right here! Join us! An easy to drive from Seattle, Washington—No ferries required! 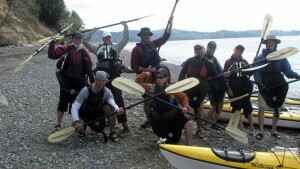 Kayak trips departing from Anacortes and Friday Harbor/San Juan Island!